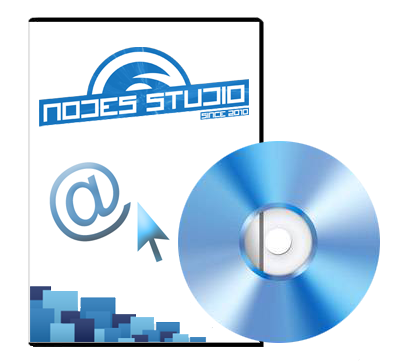 Nodes Studio is a software architecture for forming HTML web site data and management. Through .htaccess file redirect the majority of url-query to /index.php, which in turn connects file /engine/nodes/autoload.php, which generates frontend based on the main site file /engine/nodes/site.php. 1. If the request is directed to the direct PHP-file (for example /sitemap.php), the framework will search for matching and execution of the file in the directory /engine/code/. 2. If the request has the format /admin, the framework makes the generation of data on the basis of the file /engine/nodes/admin.php. 3. Other way, the data generation occurs based on script from the directory /engine/site/ and MySQL table nodes_backend (available for editing from the "Backend" in the Admin) and PHP-template file /template/../template.php. string $this->title - page caption. Displayed in the <head>. string $this->content - HTML page content. Displayed in the <body>. array $this->keywords - an array with the key words of the page. Displayed in the <head>. string $this->description - page description. Displayed in the <head>. string $this->img - page preview image. Displayed in the <head>. array $this->configs - an array of settings based on a MySQL table nodes_config.